Woo hoo! I love it when an idea hits me in the middle of the night and it actually turns out to be a great idea! 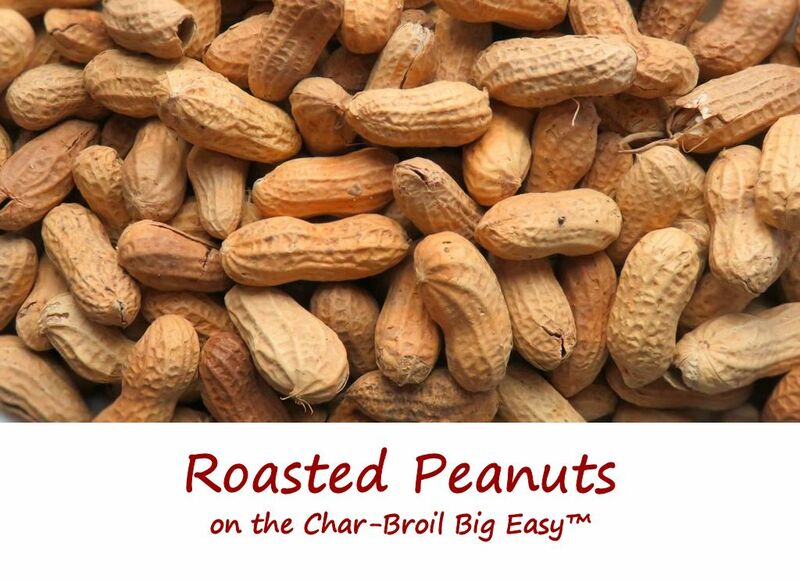 Roasted peanuts on the Char-Broil Big Easy? I have no idea where the idea came from, but boy, they came out fantastic! These little beauties are highly addicting. And easy? What’s easier than ‘Turn on Big Easy. Add peanuts.’? You might want to use your first batch of peanuts to gauge the cook time on your Big Easy. Arrangement of the basket, wind and other factors might influence the roasting time. My first batch was a bit over-done (but darned tasty, I have to admit). I learned that the peanuts need to be removed once they look like they are changing color. If they turn dark, they’re burnt. They do crisp up as they cool so don’t just grab a hot one and think they’ll stay tender. They won’t. I cooked my peanuts in two Bunk Bed baskets lined with foil. You can use the standard basket instead if you don’t have any bunk bed baskets. Note that the top basket tended to cook a little slower than the bottom. Using a single basket will give you more control over the cooking. Also try my bacon-wrapped jalapeno tots made on the Big Easy! 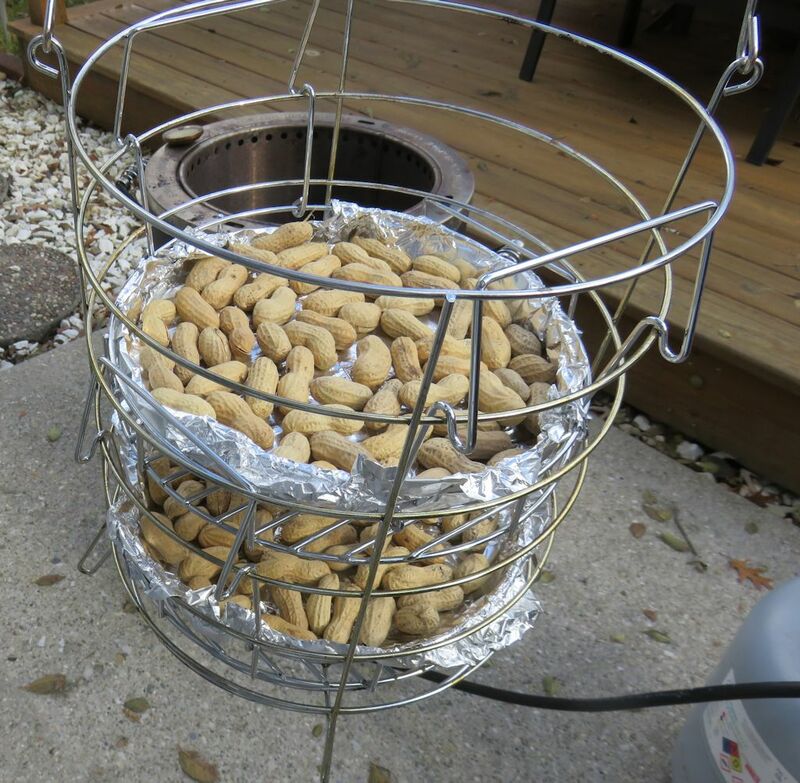 Use a Bunk Bed basket to cook more peanuts at once. Fire up your Big Easy. Line your basket with foil. Add the peanuts and spread out evenly. Sprinkle with the salt. Place basket into the Big Easy and roast for 15-20 minutes or until the peanuts just start to change color. Remove and let cool before eating. The peanuts will get crisper as they cool.